photo upload photo upload (required)Once I have placed my order i will add a photo via an order enquiry. 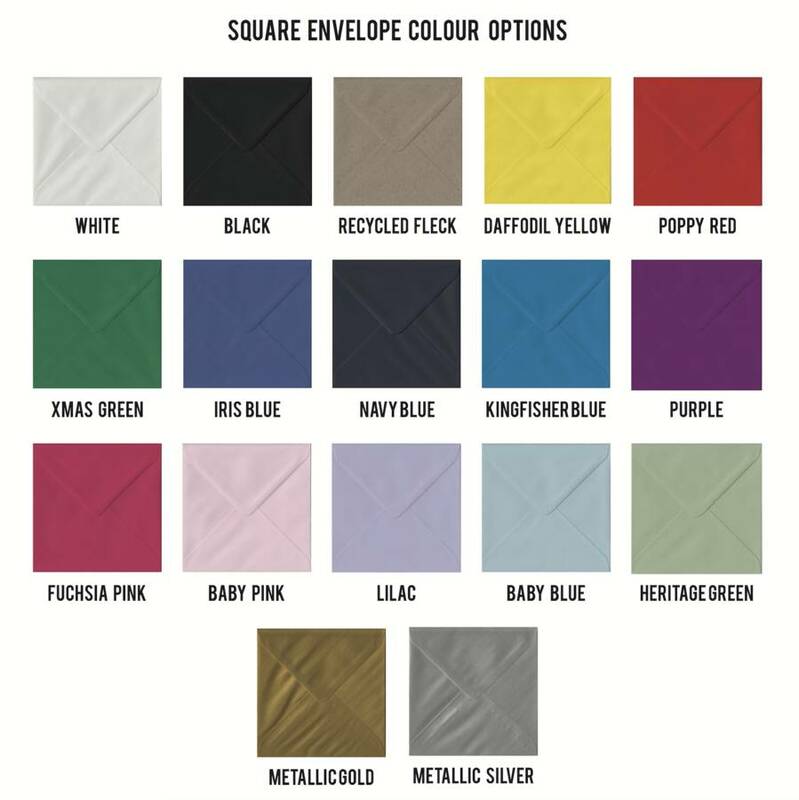 photo upload (required)Once I have placed my order i will add a photo via an order enquiry. photo upload (required)Once I have placed my order i will add a photo via an order enquiry. 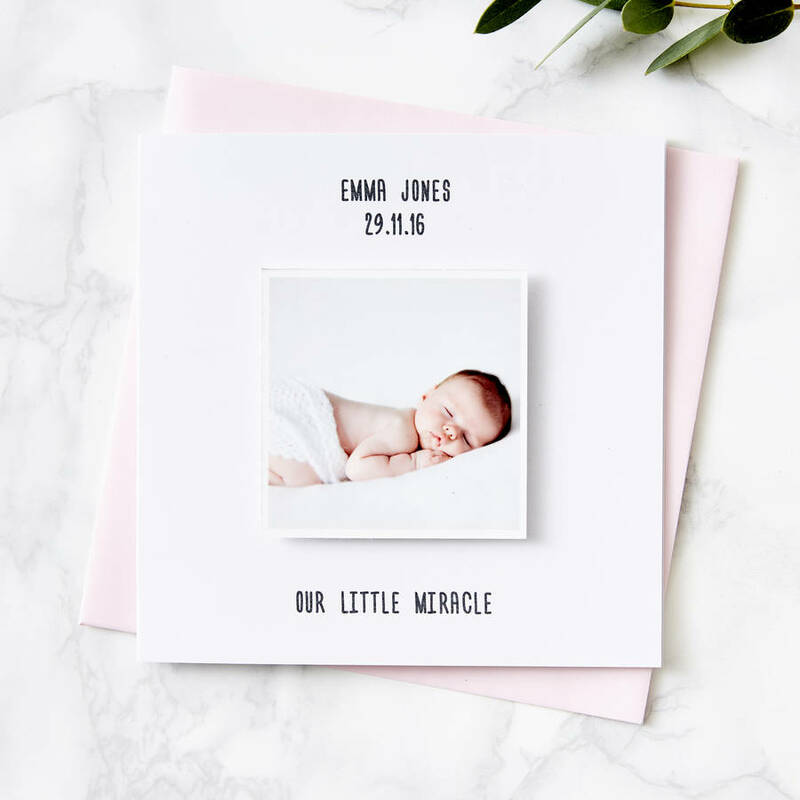 photo upload (required)Once I have placed my order i will add a photo via an order enquiry. 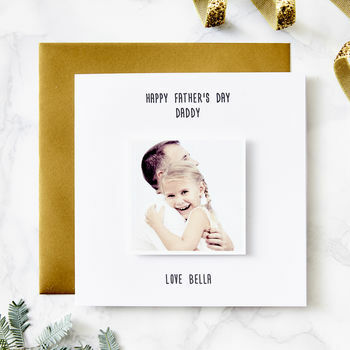 A beautiful Personalised Photo Card, a wonderful keepsake for Father's Day sharing your favourite memory together. Featuring your chosen photo of you both and a personalised message, this card is the perfect way to put a smile on his face. 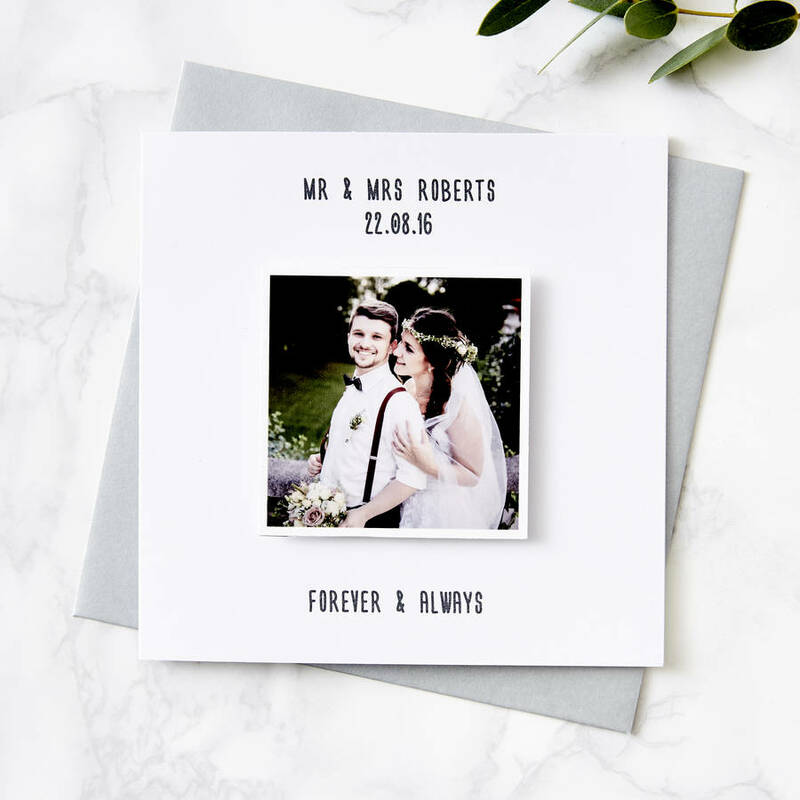 You can also create a beautifully unique card for the newlyweds or engaged couple that can be treasured as a special little keepsake. 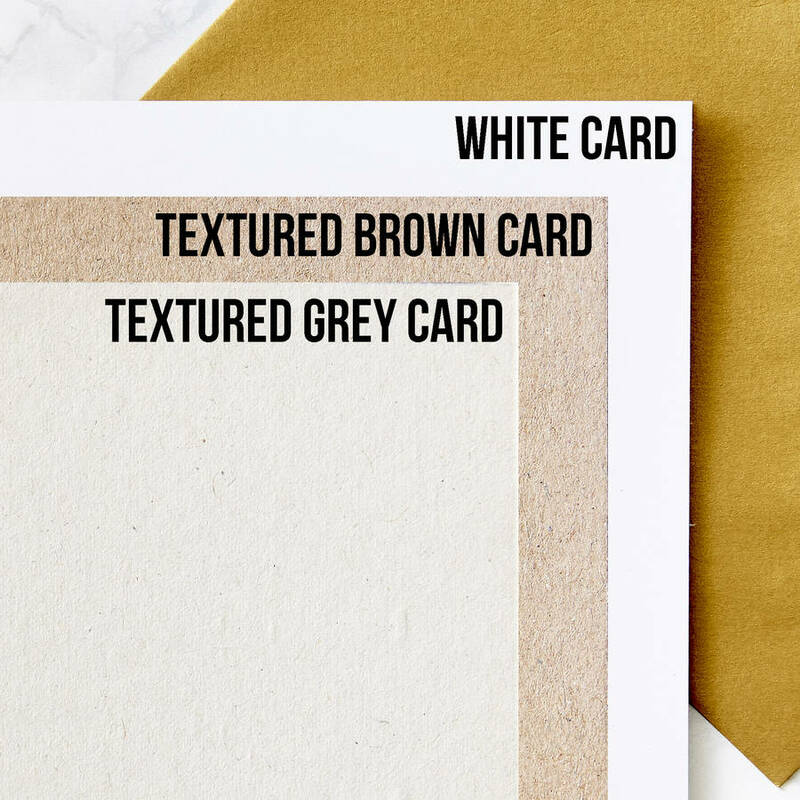 To order simply select the colour combination you would like and let us know your personalisation to create this stunning card. 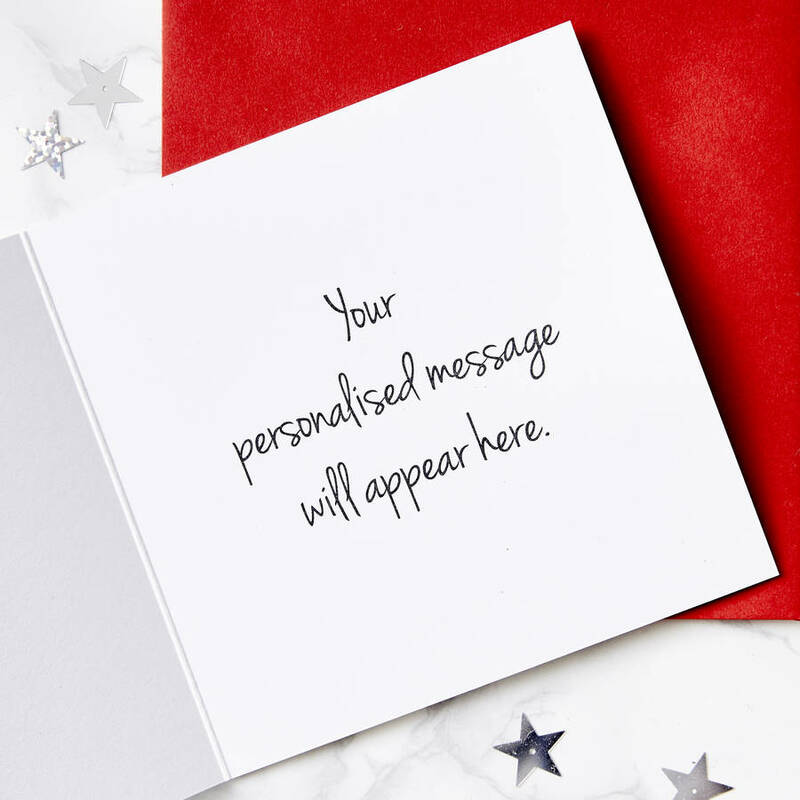 Then send through the photo that you would like us to use on the front of the card via an order enquiry. 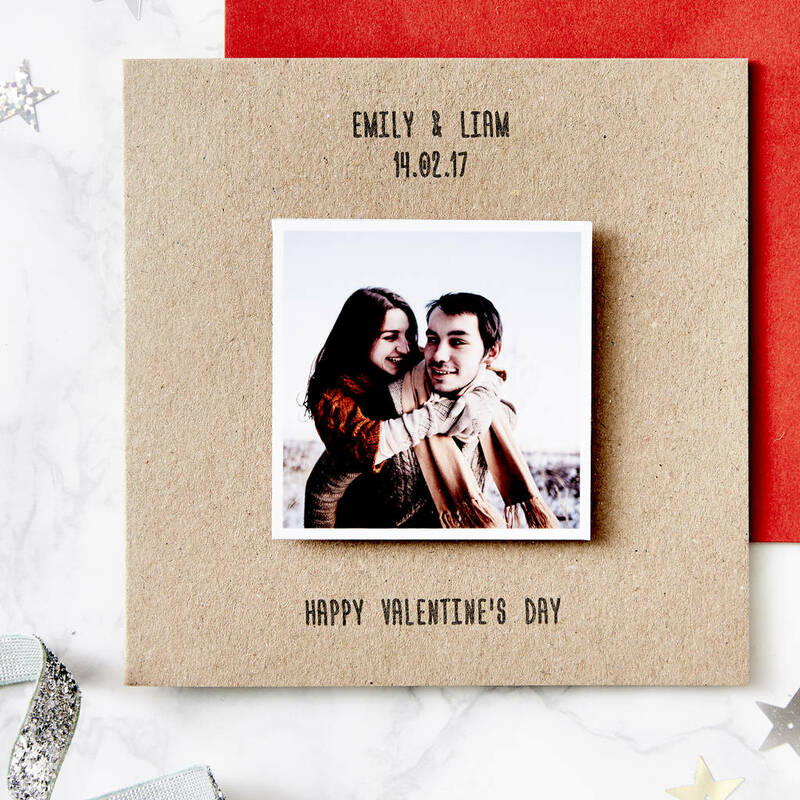 You can also add a message to the inside of your photo card if you would like to send this directly to someone special. 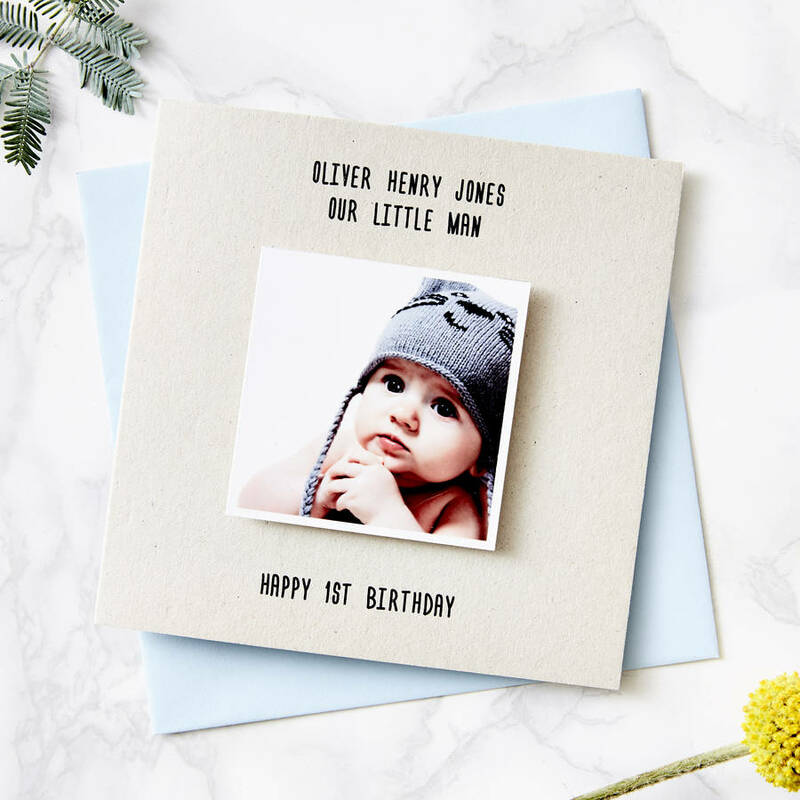 These make a thoughtful card for all occasions, Birthdays, Weddings, Anniversaries, Valentines, Christmas, Mother's Day, or a perfect treat for that special friend or family member. They are finished with a printed photo.